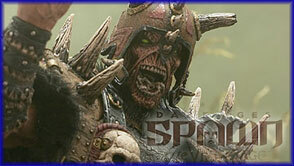 This 22nd line of Spawn action figures features the Hellspawn mythos translated into the Viking time frame. The figures themselves feature some of our most distinct craftsmanship to date, with useful articulation, extreme detail and neat accessories. If it\'s a battle you\'re looking for, you\'ve come to the right place.